What to do with extra buttermilk we had in the fridge? I hate waste. 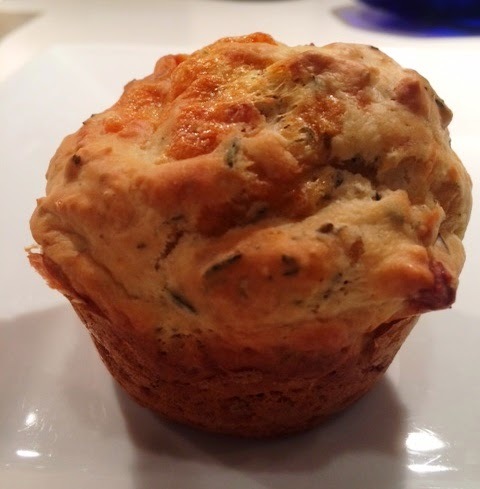 Fortunately, I saw the Jumbo Pancetta, Thyme and Gruyere Muffins recipe in Food and Wine Magazine (April 2014, p. 55) and made these this past weekend. I'm definitely making these again.